Individual tax returns can become complicated enough, but businesses face even greater challenges. For an organization, a small mistake at tax time could spell significant fines and penalties down the line – costs that could limit your company’s growth for years to come. The good news is that most such mistakes are easily avoidable. Here are some of the most common tax mistakes and how to protect your company from making them. Businesses that handle their own tax preparation in-house rely on a team that handles the organization’s finances at tax time. In-house tax preparation personnel may not be aware of the latest changes to state and federal tax law, potentially missing important tax credits or incurring underpayment penalties. Compare that to companies that work with an experienced New York accountant who prepares and reviews business tax documents every day. Even for larger companies that have a CPA on staff benefit from professional third-party reviews during tax time. Business tax documents are necessarily far more complex than individual tax returns even when they don’t contain major changes such as a sale, merger, or acquisition. Without professional oversight, it’s easy to miss filling in a critical blank or providing incorrect information. 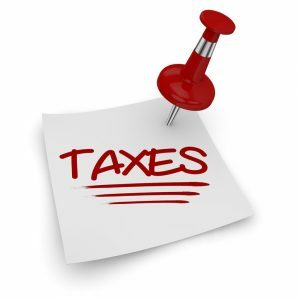 One common error businesses that file their own taxes make is over-reporting income by including sales tax, which can in turn cost these companies in higher tax payments. With accurate, complete information on your tax forms, you protect your organization from incurring unnecessary payments and time-consuming revisions or extensions. Is it possible to file too much paperwork when completing your business tax returns? Yes, say tax experts. Filing some forms and schedules that are not applicable to your organization can unnecessarily delay processing of your return. Other forms, such as Form 5213 (a declaration that a business is allowing the IRS additional time to determine whether it engages in for-profit activity) are an invitation for future audits and reviews. Navigating the volumes of forms and schedules that state and federal tax agencies require is work for a tax professional. Thorough, accurate records are essential not only for routine tax preparation but also to streamline any future changes your organization undergoes. Sales and mergers are much simpler when all parties have their tax documentation in perfect order. Without complete and accurate records, you could also miss legitimate write-offs that help your organization protect its revenue. By saving and tracking invoices and other documents that contain a complete record of the organization’s revenue and expenses, you and your CPA firm ensure full tax compliance while earning all the deductions your company is entitled to claim. Tax responsibilities and breaks often carry over from quarter to quarter and year to year, yet companies sometimes omit unused deductions and credits they could claim in future tax periods. Changes to revenue flow, both positive and negative, can be distributed in ways that protect income or lessen fiscal strain. Capital losses, business credits, and net operating losses are just some examples of carryovers that can make a significant difference to your organization’s financial health today and in the future. Contractors, freelance consultants, and other independent workers create new wrinkles for tax preparers. For companies that employ remote staff as well as independent contractors, payroll taxes can become even more complex. In many cases, state and federal tax laws have yet to catch up with the gig economy; a tax preparation professional will help you steer clear of tax penalties and audits. While personal tax returns have an annual due date everyone knows, business tax deadlines are not always common knowledge. Penalties begin to accrue as soon as a deadline is missed, and they continue until both the original amount and the penalties are paid. A tax professional will stay on top of all deadlines for you and file extensions when you need them. Some mistakes are costlier than others, and mistakes in tax preparation and payment can be some of the most expensive. Talk with a knowledgeable CPA today, before your organization’s taxes are due, and avoid the risk of tax complications. Copyright © 2016 CPA Services. All Rights Reserved. This entry was posted in Business, CPA Services Blog by sgadmin. Bookmark the permalink.